Dynarex Foley Catheters are high quality, pliable silicone coated, 2 way catheters designed for superior performance and greater patient comfort. 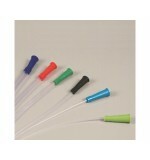 Perfect for patient care in hospitals and long term facilities, Dynarex Foley Catheters are available in 5cc or 30cc and in a variety of catheter diameter..
Dynarex Sterile Intermittent Catheters are designed with offset polished eyelets and straight tips for comfort and painless insertion. 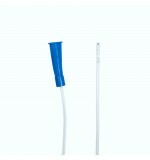 The Intermittent Catheters provide an effective means to drain the bladder in cases of urinary retention, bladder obstruction, paralysis or loss of sensation caused ..
Dynarex Intermittent Straight Catheters effectively manage bladder drainage in cases of urinary retention, bladder obstruction, paralysis or loss of sensation caused by spinal cord injury. They are available in male and female styles, and are for single use only. Regular draining of the bladder will.. 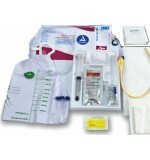 Features of the Dynarex Closed Circuit Foley Catheter Kit: • Includes insertion supplies • Ready-to-use closed catheter system • Reduces the risk of urinary tract infections • Single use only • Sterile Contents: Pre-Connected Closed System: 1 - Foley Catheter, 12, 14, 16 ..